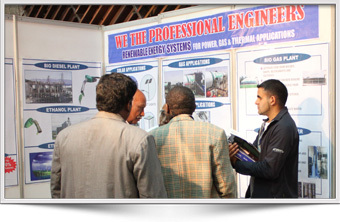 Why Visits POWER & ENERGY KENYA? The 7th Power & Energy Africa is being held from the 29th to 31st of May, 2018 at Kenya's prime international venue; the Kenyatta International Conference Centre in Nairobi. Trade visitors from all over East & Central African countries are being invited directly and in collaboration with several regional trade bodies in Kenya, Tanzania, Ethiopia, Uganda, Somalia, Mozambique & Congo. Though Kenya by itself is one of the biggest markets in Africa, major emphasis is being laid upon attracting traders and importers from neighbouring countries.